As of today (10 December 2017), the price is hovering around $14'300 on CoinMarketCap.com, down from a peak of $18'000 just two days ago. CBOE is about to go live with Bitcoin futures trading, and CME will follow in about a week. Right now, it seems like a great time to put together a brief explainer on what you’re actually buying when you buy Bitcoin. I’m a firm believer in that maxim (“Know what you’re buying”), and right now I’m a bit worried that the insane price movements and breathless evangelism are sweeping some people away. Disclaimer: I buy and sell various cryptocurrencies (with full knowledge of the risks involved), and will likely continue to do so for as long as the markets exist. Obligatory disclaimer: I’m not an investment advisor, and by now you should know the rule: never take investment advice from the internet. Transparency notice: I refer to EasyEquities in this post. I love their platform, think more people should use it, and if you sign up through a link on this page I’ll get a R50 discount on commissions. You’ve probably heard of Bitcoin as a technological breakthrough, a new paradigm for money, an internet-based currency that doesn’t need a central bank, a way to send money around the world on the cheap, and potentially the future of digital commerce as we know it. All of those things are true (to various extents) but as a prospective investor, they all describe the things that aren’t Bitcoin — namely, the thing you get in return for your money. Whenever Bitcoin is reported on in the press, they usually use some sort of Bitcoin-looking gold coin in their imagery — like the header image at the top of the page. If you’re familiar with Krugerrands, you’d be forgiven for thinking that Bitcoin was just another version of that. It helps to know a little about the Bitcoin project, and the concept of a “distributed ledger”, but that’s the sort of technical jargon that can easily obfuscate what’s really going on. Plus, if you know all that stuff, you already know what a Bitcoin is. So instead, I’m going straight for layman’s terms (sorry, technical purists!). If you’re new to the space in December 2017, chances are you learned about it through a friend or colleague who shared a specific app with you (Coinbase, Luno, etc), told you about exchanges (Bitfinex, GDAX, Ice3X), and likely described how they got insane returns in a short space of time. You’re the person I need to reach. Buckle up! A ledger is a record of transactions. When you look at your bank statement, what you’re basically looking at is a simple ledger, recording all the money going in and out of your account. That network of computers doesn’t work for free. By running the calculations necessary to maintain the ledger, they get rewarded for their efforts with virtual tokens. Those tokens are paid into “wallets” — virtual bank accounts on the network. From there, they can be sent and received across the network, much like an online bank account. Those virtual tokens are what most people now know as Bitcoin, and that’s what you’re buying in return for your money. There are lots of different reasons to buy and use Bitcoin, each with their own set of considerations. Right now, I’m focusing on it’s use as an investment, since that’s probably what you’re thinking of using Bitcoin for. 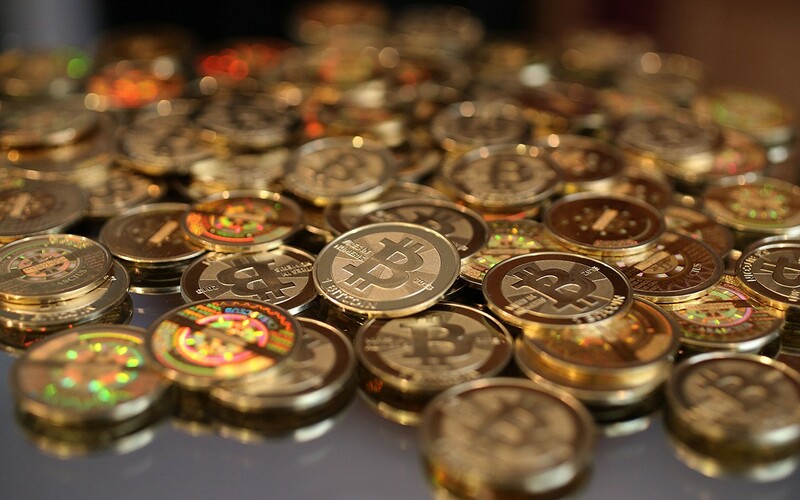 Bitcoin the network is run by volunteers all around the world, mostly professional miners who have built computers specially suited to the task. You can learn more about the network on coin.dance. Bitcoin the token (the thing you’re buying) is ultimately a product of the network. By owning a Bitcoin (or part thereof), what you really own is the claim to that token in the ledger, and the right to transfer that token to another wallet in the network. And that’s assuming you hold the token in a software or hardware wallet on your computer. If you sign up with a wallet app (like Luno) or a cryptocurrency exchange (like GDAX), they’re holding that wallet on your behalf. If you invested in Facebook, Apple, Google, and similar companies at the outset, you’d be sitting on some great returns right now. All these companies have done phenomenally well. Crucially, though — they’re companies, with revenues, assets and cashflow, that have issued stocks that pay dividends. The same is not true for Bitcoin. Given how it’s traded, sold, and discussed in the media, it looks an awful lot like a stock. It has “market cap”, “investors”, a “bull market”, and so on. But there is no “Bitcoin Inc”. Bitcoin is not the name of a company with an exciting new financial product, or the owner of an exclusive patent on a proprietary process. Bitcoin is simply a digital token, brought into existence by the efforts of volunteers around the world. So the phrase “investing in Bitcoin” is very different to the phrase “investing in Apple”. To invest in Apple, you’d ultimately be buying their shares on the NASDAQ exchange. By “investing” in Bitcoin, you’re buying the right to move a virtual token around in a ledger. How do I make a profit from Bitcoin? This is the “hold on a minute” moment. If you can grasp the implications of this section, you’re good to go. If not, you’re risking losing money on something you don’t fully understand. Bitcoin has no intrinsic value. That’s a fancier way of saying: it’s worth exactly what someone else will pay for it. In one respect, this is similar to plain old stocks. At any point, you can only sell a share for what someone else will pay for it. Where it differs: shares are not completely devoid of value. A share entitles you to some of the profits from the company. If you owned 1 share of Apple stock on January 26, 2016, you would have received $0.52 in dividends. A straight cash payment, taken from Apple’s profits that quarter. The more shares you hold, the more dividends you receive. The more of those you get, the more you can reinvest in the share, to increase the number of shares you hold, which further increases the amount of dividends you receive. The same is not true of Bitcoin. Owning a Bitcoin (or part thereof) doesn’t entitle you to any dividends or other payouts. Your Bitcoin will not “grow”, since there’s nothing to reinvest. The only way to make a profit off Bitcoin is to sell it to someone else at a higher price than you bought it. There’s my “I’m not a financial advisor” disclaimer above, but that’s just a reminder that you can’t hold me responsible if I give you bad advice. If you’re not already comfortable with investing in stocks (even via simple platforms like EasyEquities), going straight to Bitcoin is a gamble. There are a lot of variables, and almost no guarantees beyond what the exchanges can offer you. If you’re not comfortable with computers in general, and don’t routinely follow good security practices, you risk having your Bitcoin stolen from you. If your Bitcoin is stolen, you have no recourse. There’s no way to “undo” a transaction in the ledger. There are no regulations protecting your purchase of Bitcoin. There is no insurance product for lost Bitcoin. If you can’t find anyone to sell your Bitcoin to, you’re going to take a loss. There are no protections on the price of Bitcoin, or your ability to sell it to a guaranteed buyer. Most of the risks above can be mitigated. 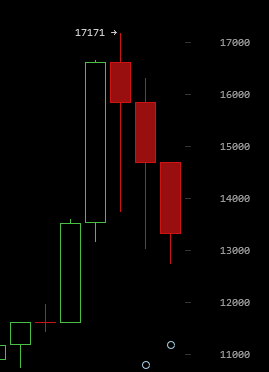 If you learn enough about how Bitcoin works, and you know what you’re buying, you’ll make more sober choices. If you follow good security practices, and use apps built by engineers who have your safety in mind, the risks of losing the Bitcoin itself is minimal. Luno is a good South African example. If you only buy Bitcoin with money you can afford to lose, then even in a worst-case scenario, you won’t be negatively affected. And if the interest around Bitcoin keeps building like it has been, there are potentially some great profits to be made. The only risk you can’t mitigate (and must accept) is the risk that Bitcoin might stop trading, leaving you with virtual tokens that nobody wants to buy from you. In that event, the chances of recovering any of your investment drop to zero. I hope this post has been useful to you, and that it’s helped you make up your mind on whether or not you want to get involved in the trading side. If you are diving in — good luck, and may the candles ever be in your favor.